Since Yolanda hit, I have been in awe of the way the Estahanon — natives of Eastern Samar–around the world and in Eastern Samar have come together in extraordinary ways to help those whose lives and livelihoods have been put in jeopardy by the storm. Today, as I woke up and began through social media for updates and developments — I found myself being simply overwhelmed by the caring and love that is exhibited everywhere I look on a simple people-helping-people level — not government-to-people, or even formal NGO-to-people. I know that this is just the observation of an outsider — an Estahanon by marriage, not birth or upbringing — and it may be that to anyone who is a native Estahanon this is just “community as usual” — but to me, on this particularl morning as I browsed on Facebook and Twitter, I truly felt something extraordinary is going on. Here is an attempt to capture just a small fraction of what I saw, that made me feel that way. From Kage Gozun’s Siargao Group. 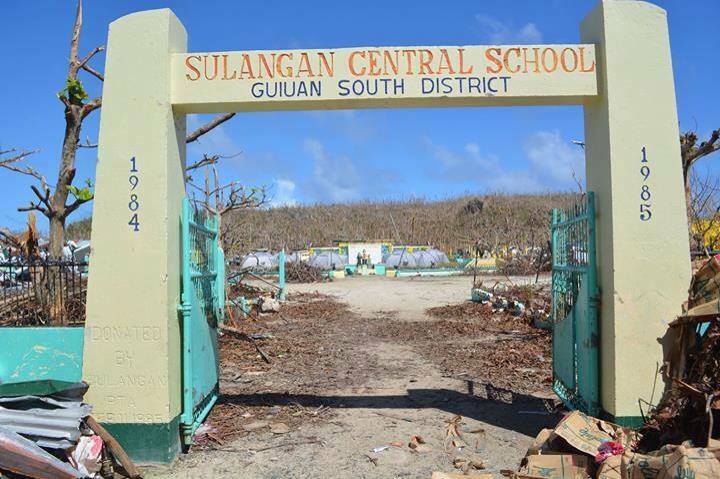 This is the school in Brgy Sulangan, Guiuan Samar that we will be helping. It is totally damaged and right now the kids are using donated tents as temporary classrooms. Currently we have about half a million pesos in funds and we are hoping to raise more so that we can rebuild this school in January. A second batch of guys from Siargao will be going there to bring roofing materials, plywood, nails, paint, and cement, all other stuff the school needs. We hope to go there with more materials and more guys this time so we can personally start rebuilding this school. We are directing all our efforts and aid to the school, as we believe that it is the key for the children’s recovery, and of course their future. So that they may have a chance to forget about the wrath of typhoon haiyan, and start living normal lives once again. We know a lot of you have donated already, thank you so much. But you may still have friends who are willing to help. Please tell them our story. 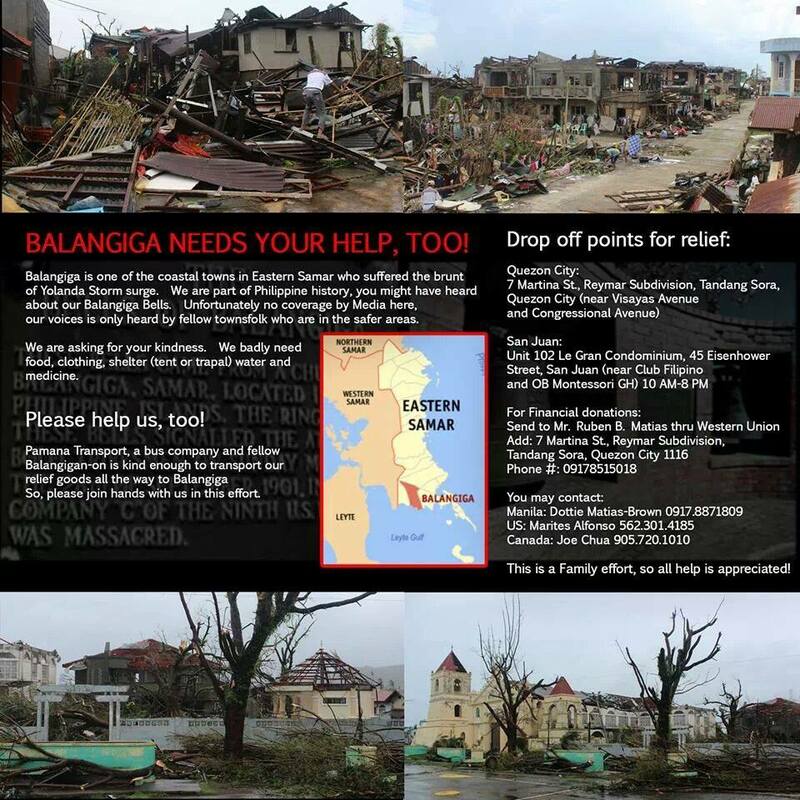 Help us help the kids of Guiuan, Samar. — at Sulangan, Guiuan Eastern Samar. 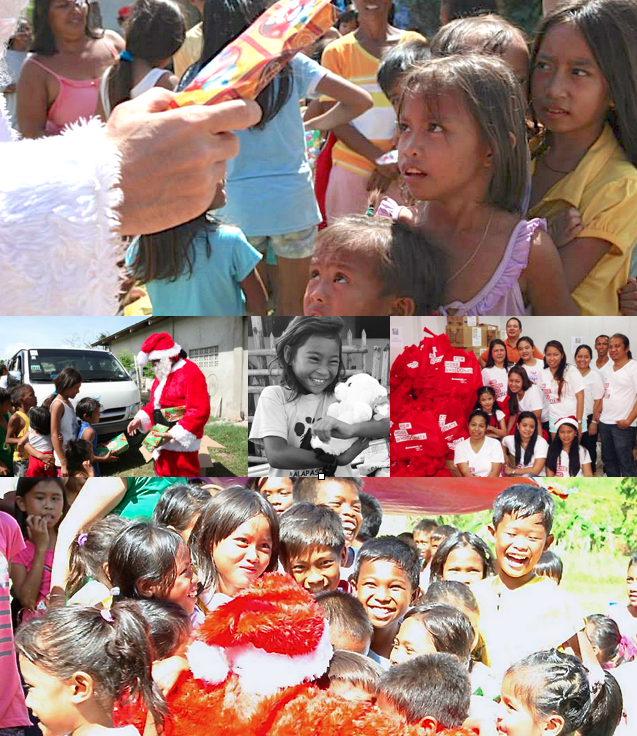 SANTA just got a call from Elf Niknik and ELF CJ who was in the midst of kids he had just given gifts to at Catbalogan. He was absolutely overpowered by the extremely happy kids shouting THANK YOU in the background. How wonderful! 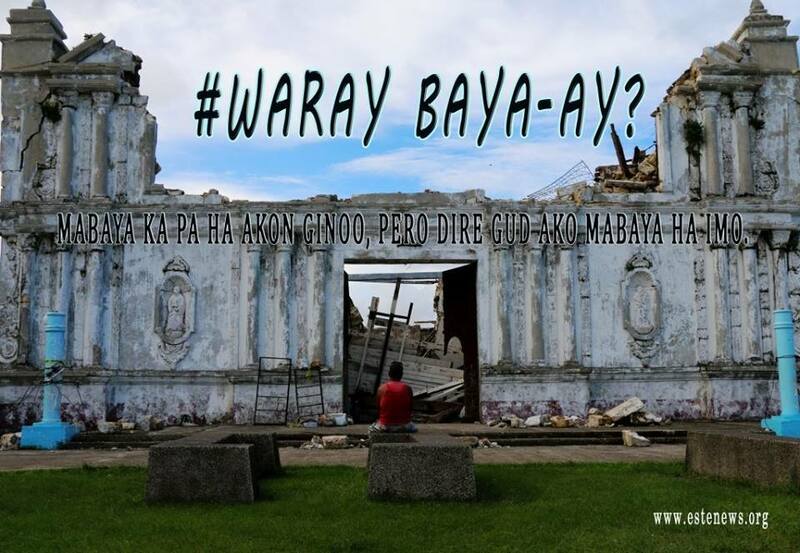 I saw this man praying before the ruins of Guiuan church one late afternoon. Realizing the profundity of his act of faith, I immediately snapped a few shots. I then realized what “heroic faith” can mean: it is the tenacity to persevere, through thick-and-thin, in one’s relationship with God who, despite the horrors of the superstorm, remains steadfast in His goodness and love. This SURE LOVE becomes the basis of our HOPE: What ultimately governs our destinies is his love and not any malignant force, not even natural calamities. And because truly and crazily loves us, our future will certainly hopeful. Hello family, A quick update with what’s going on. Archie Amanois on his way to Naga to arrange the pick up of more food items to load onto our truck to Balangiga and we expect a full truck of goodies to give away. The GBBC members and the Knights of Columbus are on stand by for when the truck gets there, when they will start repacking clothes, food, bottled water etc and also take care of the distribution themselves. The school supplies Christmas give away for the upper barrios is also on the truck and will also be given away as soon as possible. Thank you Archie for everything. This will not be possible without you. Thanks also toKendi A Payot for purchasing the school supplies in such short period of time alloted. Kaizan A. Acedillo for the assistance, thanks very much. You and Kendi gave Archie an energy boost he needed. Everyone involved with the discussions in the background, thanks to all of you, you know who you are, he he he. Every donor and all who worked to raise funds, thanks to everyone. Good luck and more blessings! Archie please be safe on your travels and Godspeed! Go GBBC!